I chose today, November 1st, 2012, to launch this blog because it’s a meaningful date for my business. Yesterday marked the 10th anniversary of my farewell to corporate employment. Today starts the 10th year of my business. The year between the beginning of those two significant 10s was filled with rejuvenation, travel, research, decisions, learning, growing, and renewed passion. Some of you will relate to the reason I left corporate employment. Although I had a nicely paid position with great benefits that I had worked hard to achieve, it was no longer meaningful. The call to do meaningful work grew stronger and stronger as passion continued to seep from me. It took four years before I made that leap into the unknown. I had no idea what was next… but knew it was time. 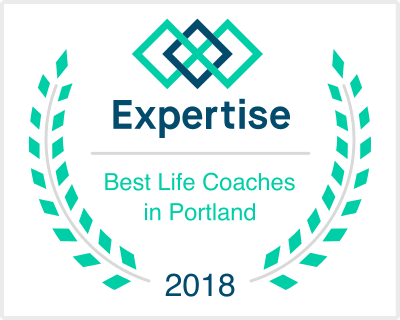 Two months into my 12 month “sabbatical” I discovered coaching. The more I researched, the more I knew this was what I was meant to do. And, I was right. The work I do is meaningful, provides value to the world, and draws upon the knowledge and skills I gained both from corporate employment and from life. I had never owned a business before, nor had anyone in my family. But that didn’t stop me. This was what I was called to do. I hope you will find value and inspiration in this blog, will visit often, and share it with others. Congratulations on your 9 year anniversary. How the time flies! It seems like only a couple of years ago I attended your graduation from coaching school. Your amazing skills & determination have gotten you here! Here’s to many and even more successful years to come. Hurrah! Nancy, I love your blog. Congrats on your decade of success! Thanks so much Lesly, and for being there and supporting me throughout the journey! Thank you Pam. It’s been quite a decade for sure! Loving all of it and blessed to have met you as result.